Trinity College Sterling Silver Money Clip by M.LaHart & Co.
We have many NCAA and college products that are a perfect gift for passionate fans. 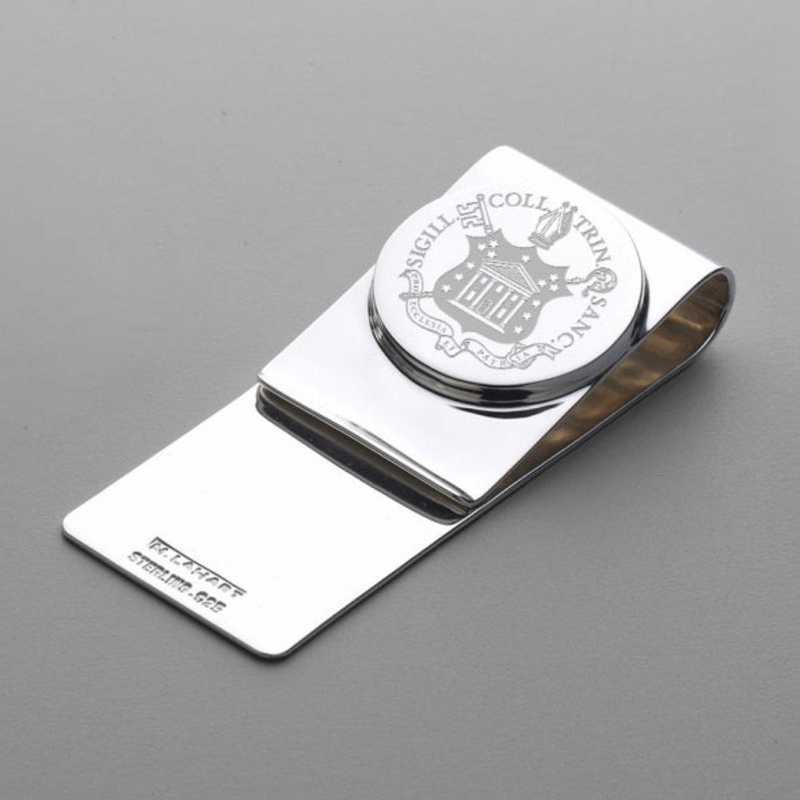 Trinity College sterling silver money clip features finely detailed Trinity logo., Measures: 2.2” x .8”., Finest grade .925 sterling silver., High-polish, rich luster finish., Attractive M.LaHart signature jewelry pouch and gift box., , , , , Officially licensed by Trinity College. Manufactured direct from a trusted supplier. You're reviewing:Trinity College Sterling Silver Money Clip by M.LaHart & Co.